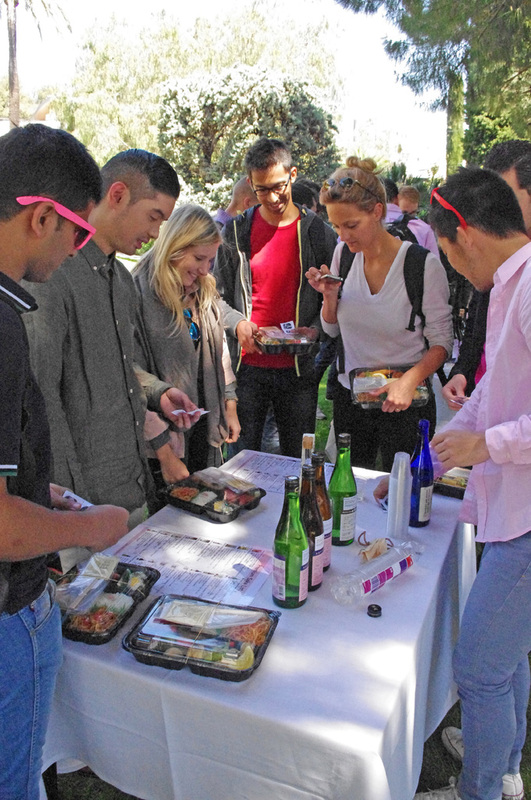 On 14th of April 2015, Japan Business Club(JBC) at IESE Business School, held Hanami Event at Barcelona Campus for the first time in IESE’s history, with the support of Sake Samurai UK. 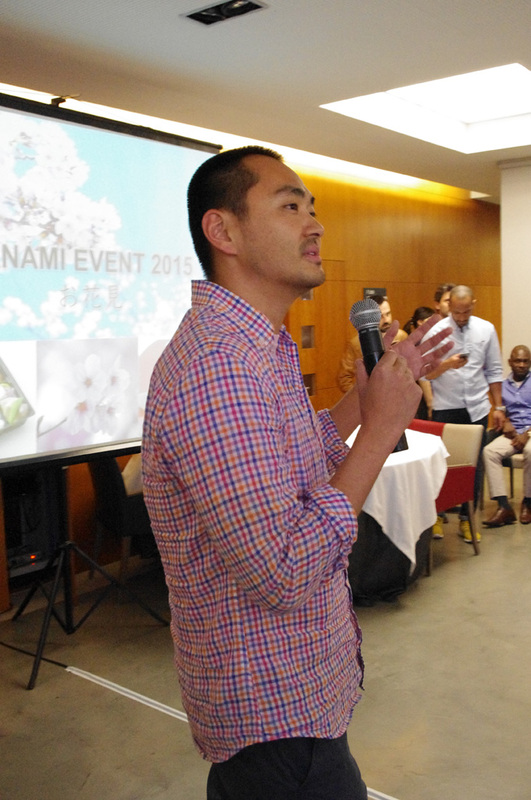 Japan Business Club organized the event to introduce Japan’s Hanami culture and to offer the world’s future leaders an opportunity to enjoy Japanese food, sake and hospitality. 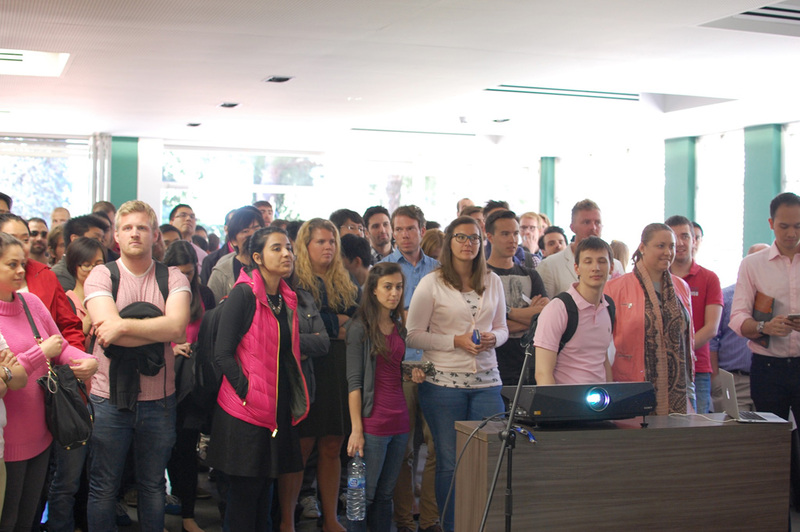 The event was successfully completed with more than 150 participants including students, professors and special guests such as the Japanese consul of Barcelona. 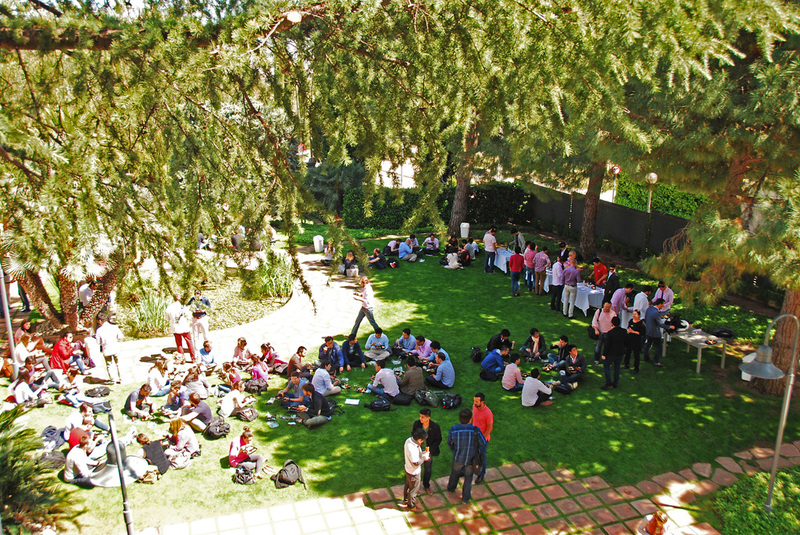 Prior to the event, in 2014, we, IESE JBC planted in the campus a tree of Somei Yoshino, Japan’s symbolic tree, to share the beauty of Japan with IESE community. Then we planned the Hanami Event as a perfect opportunity to introduce Japanese culture as well as food and sake to more people than any other events held by the club. As we could not offer our previous events such as Japan Dinner and Sake Tasting at a reasonable price for many students, we wanted to make our events more affordable. We set the participation fee for Hanami at nominal level to make the even accessible to everyone. This was made possible by Yashima, a Japanese restaurant, who offered Bento or lunch boxes, for reasonable price, and by Sake Samurai UK, who generously supported us with 24 bottles of sake from premium sake breweries. 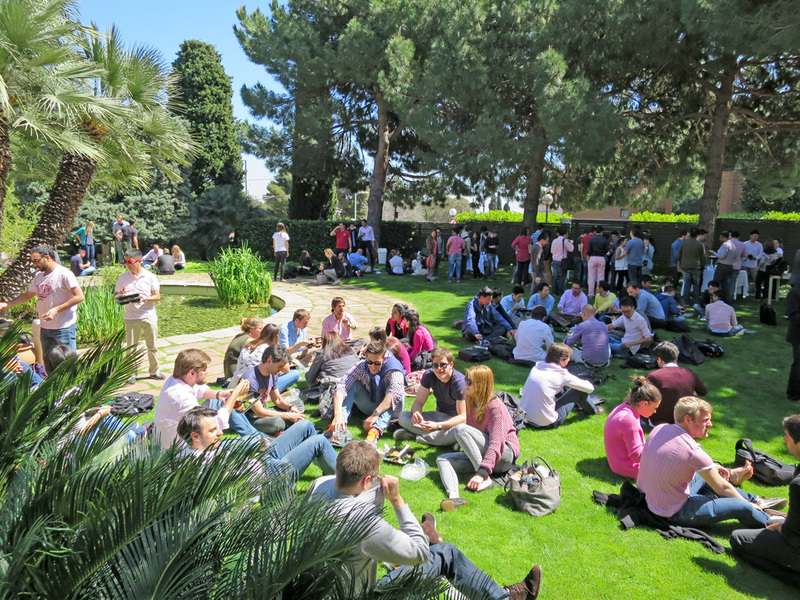 The participants enjoyed Japanese food in Bento box and three cups of Sake for each with the beautiful scenery of IESE’s garden although the cherry blossom was not in full bloom. The Sake selection offered by Sake Samurai were from ten breweries across Japan, and included all types from Hon-Jozo to Dai-Ginjo to Junmai-Ginjo, all of which were welcomed. It should be noted that Dai-Ginjo and Junmai-Dai-Ginjo were most popular types among them and that traditional style bottles were more popular than wine-like bottles. While serving Sake with explanation, we were received many questions about sake including how best to taste sake, where and how to purchase Sake outside Japan and how to identify the taste of Sake from labels. 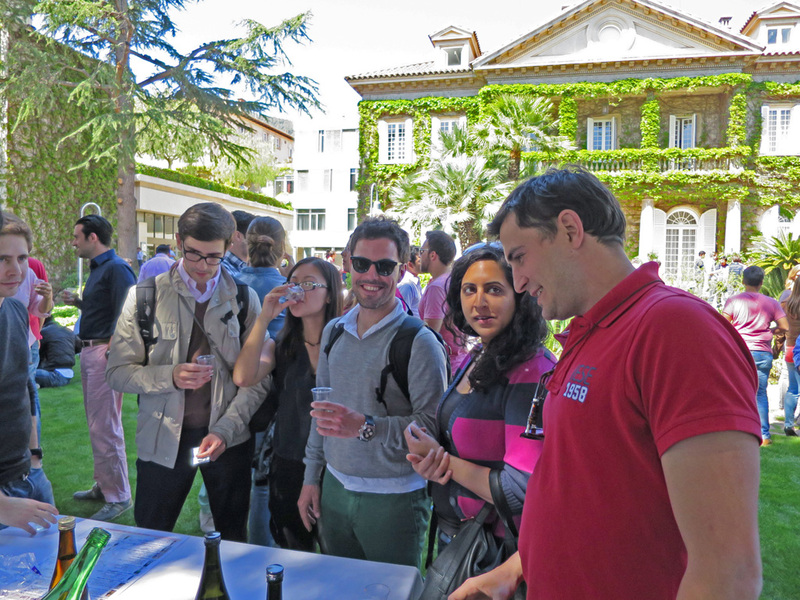 We were pleased to see how many people were interested in Japanese culture and Sake. It was a spectacular scene that 150 people from more than 50 countries got together to enjoy Japanese cuisine, sake and Hanami. As we have done at the previous events, we realized how Japan’s soft power is strong and universal. 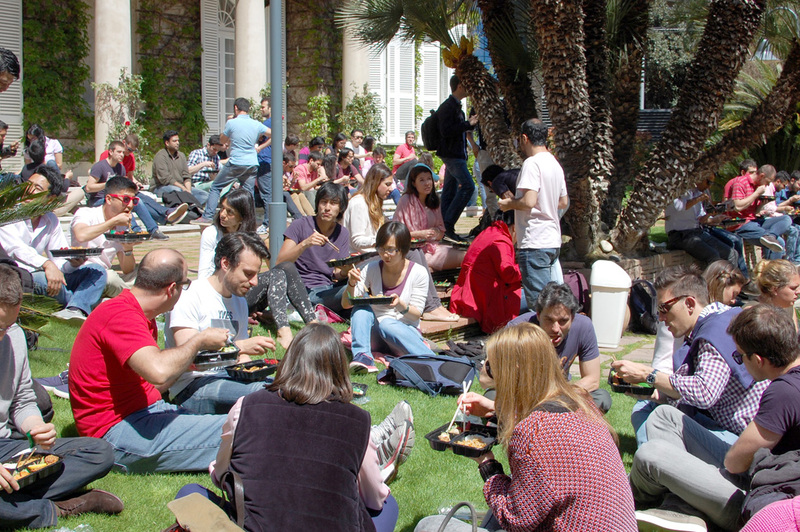 IESE JBC is willing to propagate Japanese culture to the world through IESE community and the Hanami Event 2015 would be the first step for us to build a platform to introduce sake to Spain and to the world’s future leaders. Encouraged by positive feedbacks, JBC is planning to regularize Hanami Event as an affordable Japanese food/culture event.